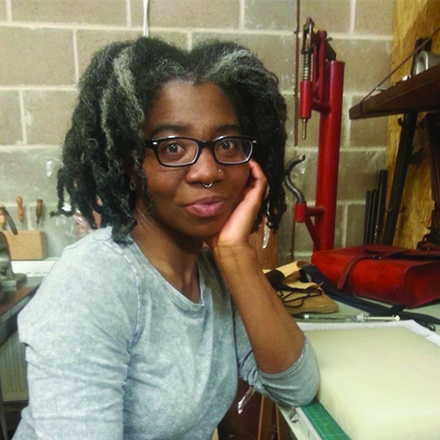 Jemitra Renea, is the leather crafter and shoemaker behind Heartstain Leathers. From her space in Freestone Studios, Bristol she creates one-of-a-kind shoes and accessories and here she tells us all about it. Firstly, tell us about Heartstain Leathers and what it is you do. I am a leather crafter and shoemaker. 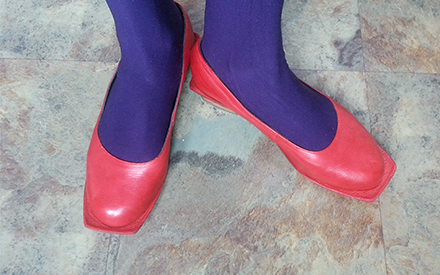 I craft beautiful, functional things from leather and I make shoes by hand. And how did the business start? Until fairly recently, I never considered myself a creative. I come from a family full of creatives and makers but I always thought that particular gene was deactivated in me. Then out of the blue, I began to feel an intense desire to make. I didn’t know what I wanted to make, but the desire was so strong that my hands would literally itch and tingle with the need. I leaned into the urge and experimented with different methods and materials to try and get to the bottom of the impulse. 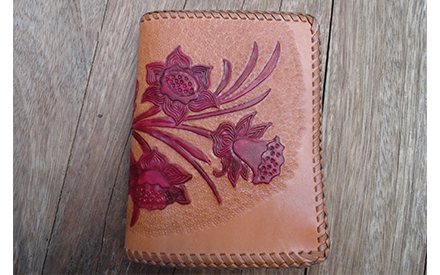 Leathercrafting and shoemaking are the things that stuck. What has your space at Freestone Studios meant for you? What were your reasons for choosing Bristol? I recently relocated here from the Netherlands, where I lived for 9 years. While I had a good life there, the Netherlands never felt like home. A couple of years ago, I was randomly invited to visit Bristol by someone I met. The moment I stepped off the bus into city center, I knew I was home. That feeling was facilitated by many things, namely the people and the energy of Bristol. And your favourite things about the city? Having been raised in the foot hills of North Carolina, then lived in the very flat Netherlands, Bristol‘s hills make my heart sing. Bristol’s community-orientated approach to doing things is also something that resonates with me. 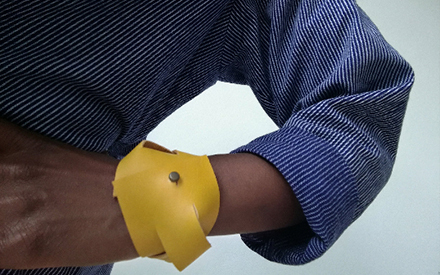 I am very much so looking forward to deepening my experimentation with traditional leather decorating techniques. It is not a big thing in and of itself. However, by learning new techniques and employing them in my work, I aim to create shoes and accessories that are truly one-of-a-kind. And any exciting projects to tell us about? I am in the process of developing two retreats. One is an architecture, yoga and storytelling retreat that will take place in Edinburgh. The other is a retreat where we explore the relationship between yoga and making. Location to be decided. The smell of leather. The feel of leather. And successfully wrangling/sweet talking what can be a very stubborn material into an object that is beautiful, functional and which will last for many, many years. Also, that moment, when a shoe begins to look like a shoe. It makes me feel fuzzy inside every single time. would have given yourself at the beginning? To remember that, as cliche as it sounds, it is indeed a journey and you must trust the process. 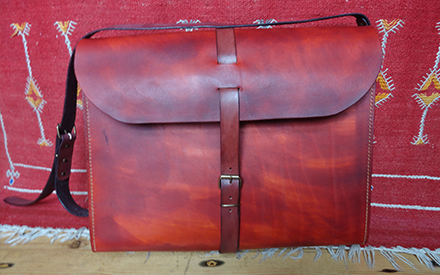 For more information check our the Heartstain Leathers website or visit the etsy store.